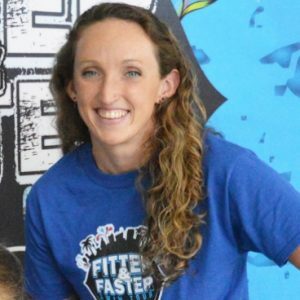 About the Author: Claire Donahue, an Olympic finalist in the 100-meter butterfly at the 2012 London Games, shares racing wisdom as a clinician with the Fitter and Faster Swim Tour. Race Day is coming up quick as it always does. I’m heading into U.S. World Trials and I’m starting to really get ready. At this point for me it’s all about mentally preparing. This is the time I start to get nervous and that mental prep really kicks in. The biggest thing I try to remind myself of is that the work is done. I’ve trained hard, trained long, and pushed myself to the limits; all that hard work is done. Now I just have to remember to relax, take a deep breath and do what I was trained to do. As swimmers, we train day after day after day, but when that big day comes we tend to forget how much we’ve put in. By this point, the only thing you can control is your mind. The body is going to do what it does best. There are three things that help me the most leading into my biggest meet of the year. First, I put together a confidence list. I usually do this at least once a month, but I make sure it’s up to date before my meet. Before I race or if at all I’m feeling down on myself I go to this list to remind myself the things I’m good at: my turn, speed, flexibility, hard work, not missing a practice, my drive (I want it more), and my power. The second thing I put together a month out, or more, is my prep-list. These are a list of things I want to make sure I do in warm up and in my race. 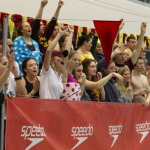 Things like quick start, 10 underwaters, quick breakout, fast tempo, drive the turn, come home strong, and finish with power. All these things I make sure I have down in warm up, so when it comes race time by body, along with those techniques are ready to go. My third thing is visualization. I try to visualize my race starting at least three weeks out of my meet. I’ll go to my prep-list and make sure I visualize those same techniques. The more automatic these things are the better. These three things are the biggest tools I use leading into my meet. If I use them consistently they can be very powerful. Now that my race is coming up I am nervous, but I feel ready. These tools have helped me prepare; prepare for my big day.